My name is Caroll and Im from Costa Rica!! I am always amazed about all the different countries that Tarkan gets to touch with his music, and I am really glad to have received a Facebook heads up about it! 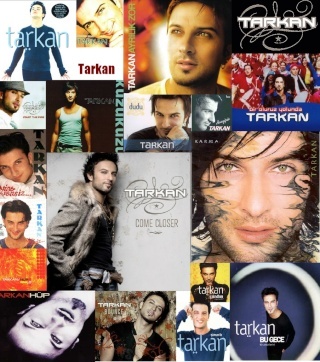 I´ve been a true Tarkan fan for only around 2 years, mainly because here is my country there was no info about him at all, and it wasn't until I wanted to remember Sikidim on youtube that I found he was still making records and looking so absolutely hot and awesome!!!! I hope I get to meet people here and of course, to know more about Tarkan! Thank you for the effort to put all this together!!! Hello Caroll! It's nice to meet you! Hi,Carol!!! I`m Katya from Russia. I hope, with us very much it is pleasant to you!!! Welcome!!!! I am Kirvi (pronounced Keer-vee) from the U.S. I am a bellydancer and that is how I got to know the wonderful sounds of Tarkan. Hello from me also Kirvi! hi eveyone! thank you so much for the invitation. i hope to become a productive member of this forum, or at least make you laugh. feel free to drop me a line and thanks again. girl! wasaaap!!!! I'm glad you joined us!!! we are getting bigger and bigger!!! well, that works. get the feeling it gets pretty filthy in here. i have to say this is an awesome little club you guys got here, i'm glad i joined. i just been cruising around all day (it's my day off) and cracking up.. nice to meet some people who appreciate him as much as i do..
Subject: Re: Introduce yourself! HERE!! !